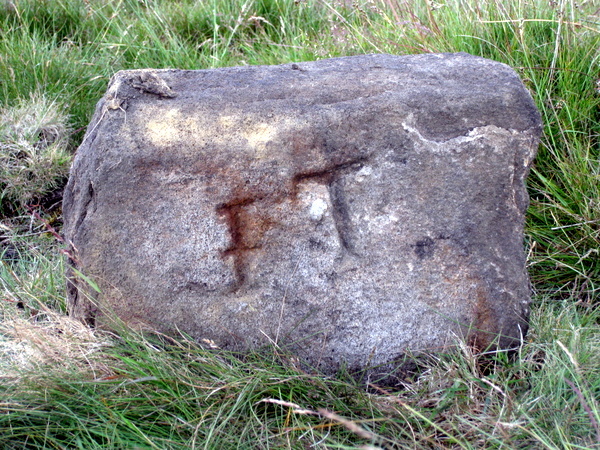 Location: This stone lies 200 m east of Meer Stones 38, and 100 m just east of north of Meer Stone 49. This is a 25 cm stone adjacent to Meer stone 50, and marks the north-west corner of John Tennant & Co.'s meer where it abuts against that of Elizabeth Shackleton's. These leases appear on Brailsford's 1781 survey. It is about 25 cm high, and roughly carved. 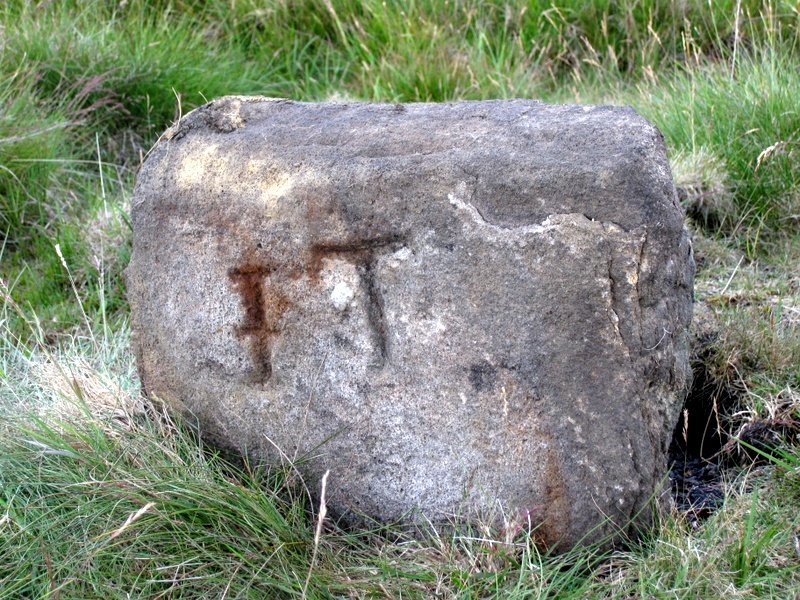 Note that the letter I is often used for J on the stones. Tennant's leased four meers at this time, and three others of their stones have also been recorded as Meer Stone 42, Meer Stone 57, and Meer Stone 59. The death of John Tenant is recorded in the Linton Parish register for 1792.